Exclusive Trivection technology achieves the delicate balance of heat and time by combining thermal, convection and microwave heating methods. 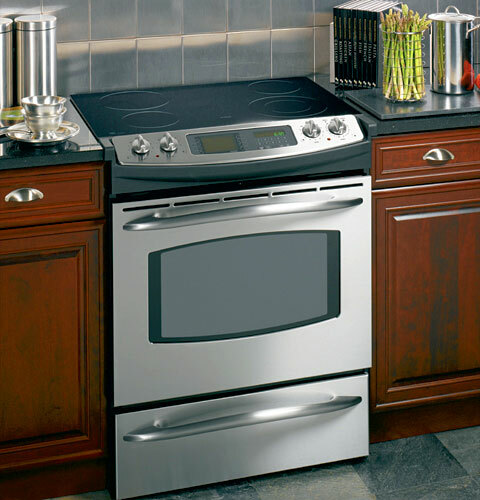 Smooth and sleek glass surface is featured on the cooktop and oven door, to give the oven eye-catching appeal that’s easy to clean and maintain. Ge Appliances. 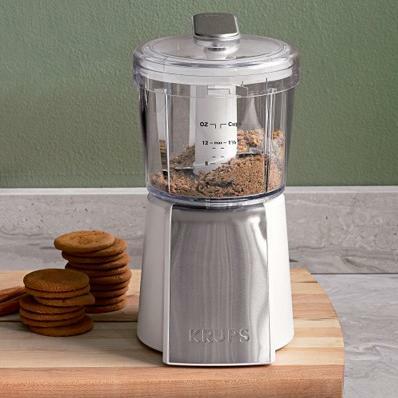 The Krups Mini Chopper GVA2 offers superb performance in a compact housing. It chops, purees and emulsifies with a powerful motor that belies its size. 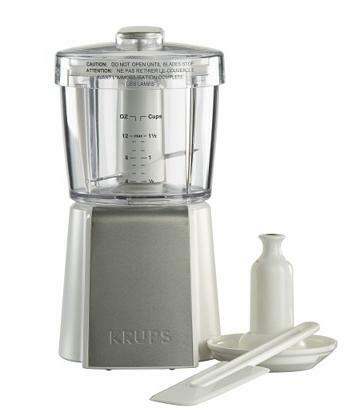 Krups. 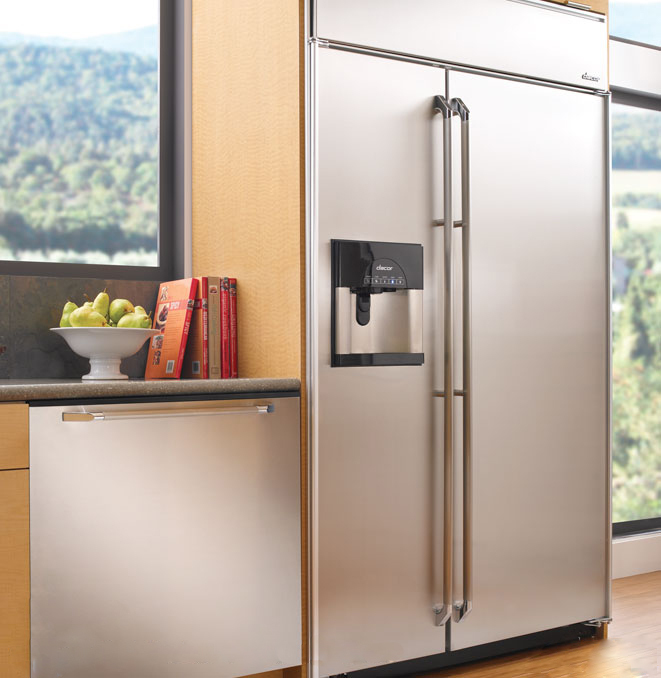 Keep your food fresh in this high-capacity refrigerator featuring three individually controlled temperature zones, adaptive/preemptive defrost, multiple storage configurations and improved illumination. Dacor. 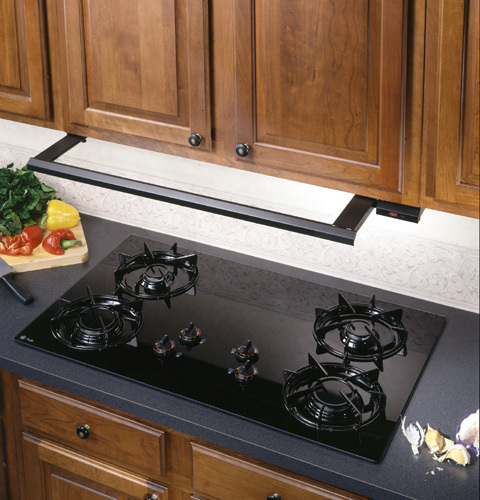 Slide-Out Hood — Hood with transparent glass visor slides out over cooktop surface and retracts when not in use. Ge appliances. 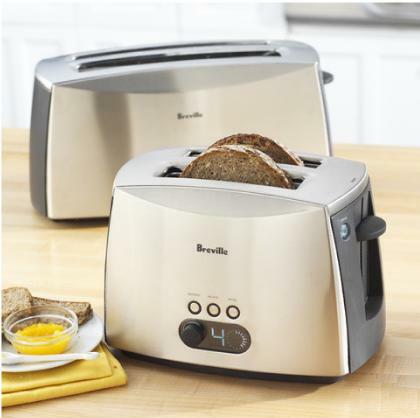 Smooth brushed stainless housing with polished chrome and black accents and custom controls to defrost and toast bagels and bread – just the way you want them. Simple, classic and practical. Cuisinart. A blue neon countdown with an audible beep for the toast perfectionist. 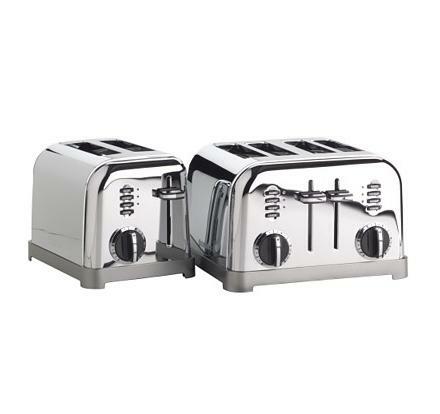 It also has a special characteristic: Lift and Look feature allows you to lift the toast lever throughout the toasting progress to monitor toasting without interrupting the cooking cycle. 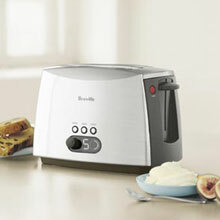 Breville. 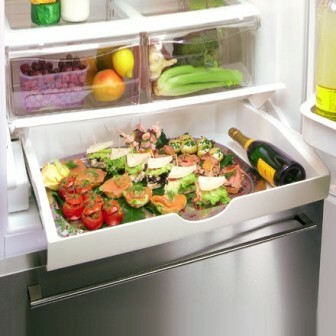 An ideal refrigerators for large quantities of food, for the ones that like to be spatious or for those who often have something to celebrate. Very spacious and generous with a sleek all stainless steel design from Gaggenau. 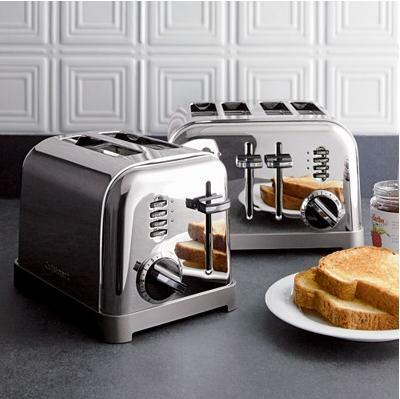 Classic and elegant with exceptionally well thought-out details including sleek and minimalist handles. 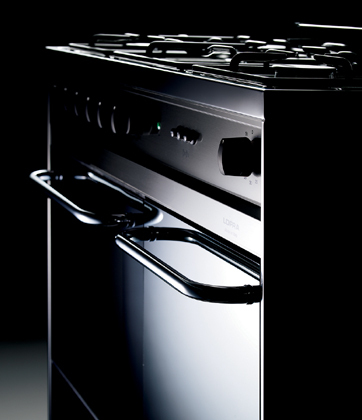 A collection of gas and dual fuel cookers in mirror polished stainless steel from Lofra. 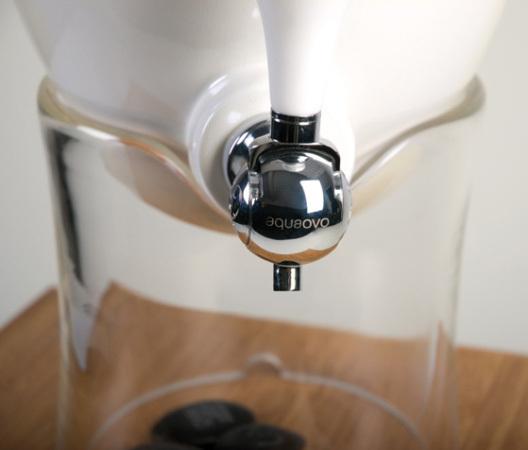 Environmentally friendly to the core, the OVOPUR© unit doesn’t consume any electricity, using gravity instead to filter and revitalize tapwater. Obtain crystal clear water quickly and easily. AQUAOVO. 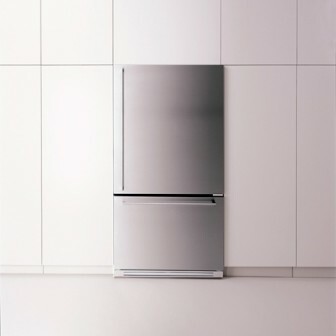 A sleek refrigerator from Gorenje designed by the famous Ora Ito French designer. 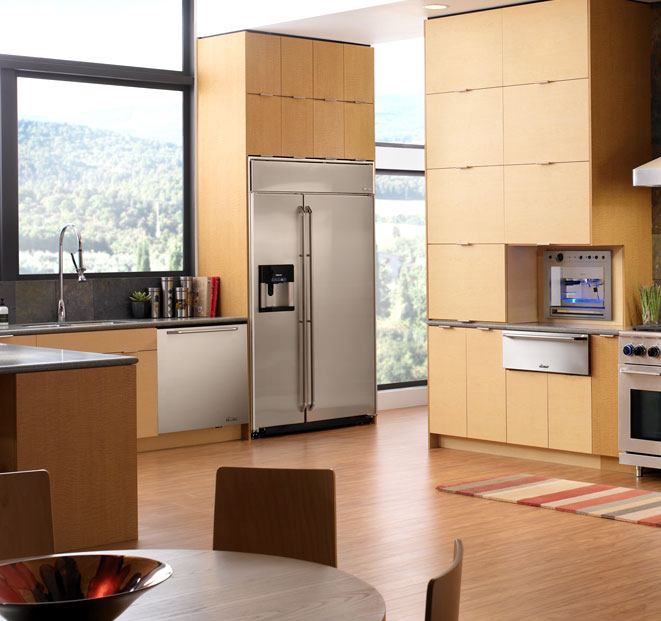 An all stainless steel finish that gathers up all the characteristics you would want in a fridge. Gorenje.